This picture is from the “Greetings from…” series. You can read more about the series on my blog ©JKScatena (in Portuguese). 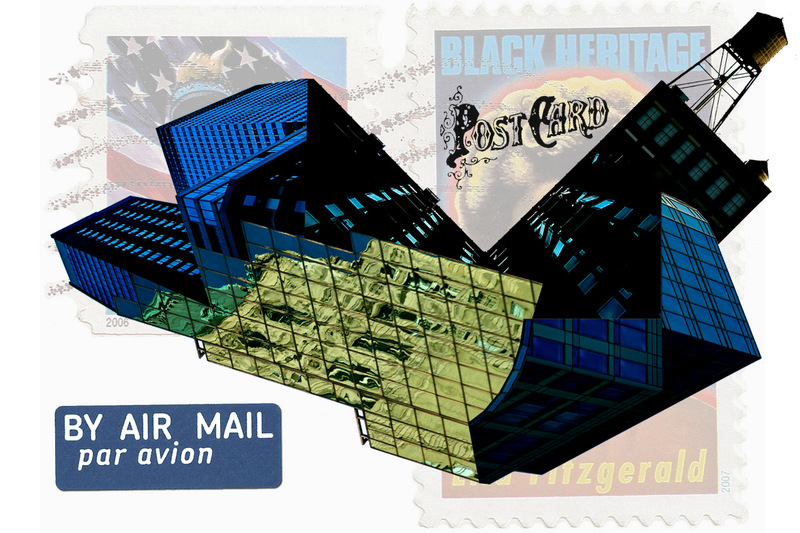 The Greetings From series is a tribute to postcards and postal art, using references from constructivist collages. On the other hand, the displayed cities are not named, creating a game where the observer has to gather tips to find out its name. The photos being assembled on a over-sized stamp is also a postal card reference – on the usual postcard the stamp is placed on the card, while here, the art is placed on the stamp.